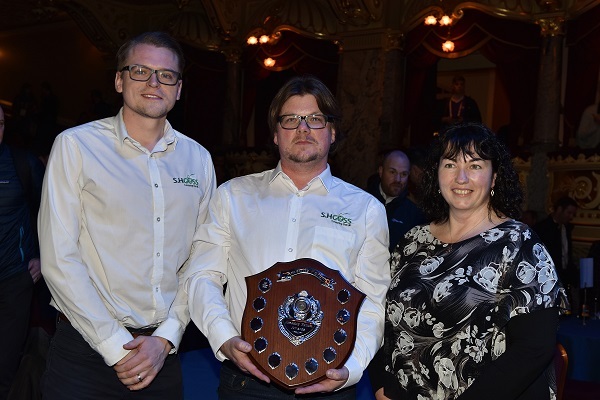 The overall winner of The Spray Operator of the Year 2017 was announced at BTME Harrogate in January 2018. Nathan Hume wins top spray operator Award presented at BTME. The prestigious title of Amenity Sprayer Operator of the Year (ASOY) has been won by Nathan Hume, Contracts Manager and Ecologist for national grounds maintenance experts, SH Goss Ltd.
ASOY rewards top sprayer operators across the amenity industry, with the aim to share their best practices to enhance standards for all. 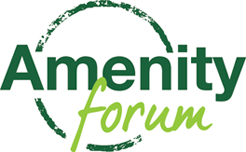 Presented for the first time at BTME Harrogate this week (23 January 2018), the ASOY Awards are organised by the Amenity Forum, and sponsored by ICL and Syngenta, in association with BASIS. As well as the overall top operator, Nathan Hume was the winner of the Landscape & Industrial using hand held equipment category. Also recognised by the Awards were Chris Phillips of Complete Weed Control South Wales, as the top operator for Sports turf using boom sprayer or hand held equipment, along with the company’s Lee Harrison, winner of the Landscape & Industrial using vehicle mounted equipment category. Nathan primarily specialises in the prevention of invasive non-native plants. He operates in a wide variety of sites including airports, railways, cemeteries, rivers, forests, nature reserves, construction sites and golf courses. “It was an honour to receive the Award,” he said. “Myself and the company have always followed best practice so it’s a nice justification that we are doing things right,” he said. Commenting on Nathan’s success, from a record entry in the third annual ASOY Awards, Professor John Moverley, Chairman of the Amenity Forum, said: ‘‘The Awards seek to recognise the quality and level of professionalism in our sector. They highlight how professional amenity maintenance Keeps Britain Moving. “All of the Category winners have demonstrated an extremely high level of professionalism; picking an overall winner was extremely difficult,” he reported. “They have all demonstrated the exceptional skills of operators across the amenity sector – doing their jobs to an extremely high standard every day. 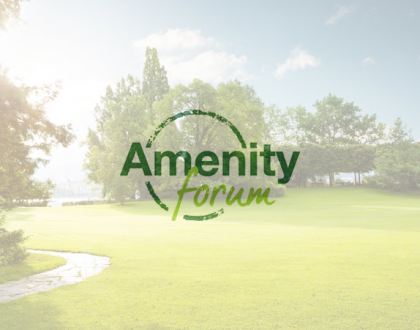 Daniel Lightfoot, Syngenta Turf UK Business Manager, believed that the Awards should be a shining light of the amenity industry’s approach to safe and sustainable spray application. potential from all applications and assuring the future sustainable use,” he added.